The main purpose of this book is to help product managers who work specifically with digital projects build better—less complex, more focused, less long-winded and more intelligent—products. 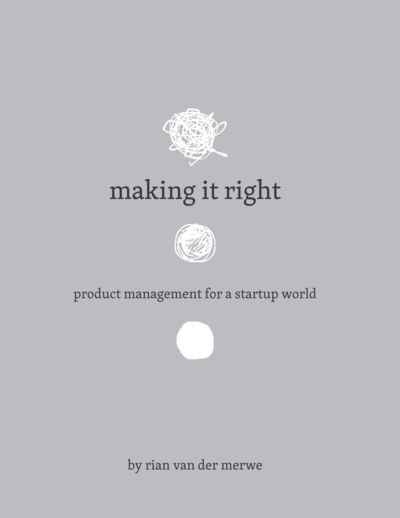 By featuring lessons learned from real-life projects, the book provides a structured framework for strategic product management—to help build the right products, at the right time, for the right people, with just the right amount of process involved. Define the roles and responsibilities of product managers in the software development context. Explain why product management is an essential role in any organization, and what characteristics managers should look for when they hire product managers. Provide a framework and practical guidance for strategic product management; a framework that details the elements of product planning and product execution that make up a product manager’s day-to-day work. Rian van der Merwe designs and builds high-quality software that people love to use. He helps teams develop their user experience and product strategies, and make the strategy real by designing and building products that deliver measurable business results. His background in sociology comes through quite strongly in what he writes and shares. He is most interested in how all of the stuff we make fits together to tell us something about who we are, and where we’re going.